Very practical for fixing elements in small spaces (length 250 mm). Main body made in aluminium foundry. Slim design for access for difficult riveting places. Opening spring for quick ejection of the mandrel. 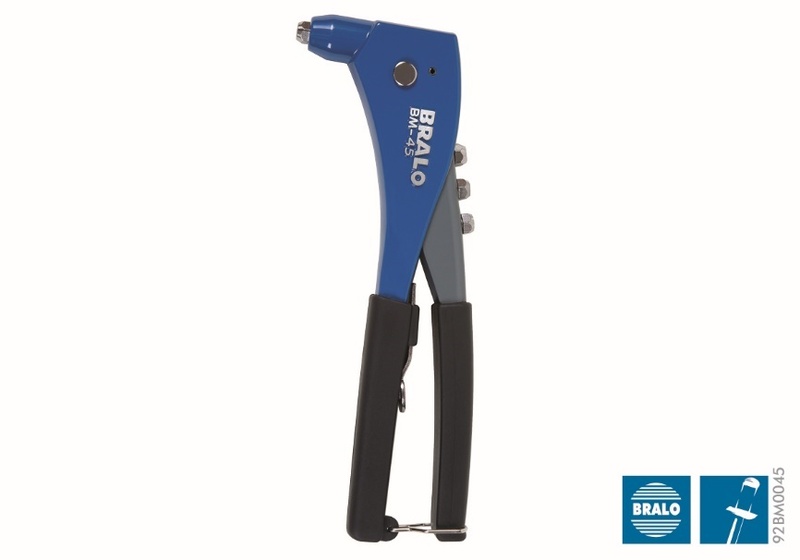 Ergonomic handles facilitate the riveting process. Mounting wrench in the handle to prevent loss. Set nosepieces catcher and nosepiece spanner. It comes in two options: the first is a pack-display blister type very practical for distribution, and the second is a box or plastic case that includes an assortment of the most common rivets.